Are you a night owl? Or do you simply have some to kill after having dinner? Contrary to perception, there are a lot of activities that you can participate in, even at the wee hours of the night. And no — we aren’t just talking about hanging out at a bar or watching a late-night movie. From an intensive round of laser tag to catching prawns, there are numerous ways to entertain yourself after the sun sets. Coupled with the fact that Singapore has one of the lowest crime rates in the world, it comes as no surprise that more and more people staying in Singapore are partaking in after-dark activities. According to a study conducted by the World Justice Project last year, Singapore was chosen as the safest city among 142 countries. To gain a better idea of how safe people feel in their respective countries, the study contained several questions centred around the theme of security and their local police force. With a score of 97, a significant majority of Singaporean residents commented that they were fine with going out by themselves at night, hence highlighting their trust in the country’s law enforcement to maintain orderliness. Therefore, there isn’t really any excuse not to try out some of these late-night activities. For your easy reference, we have compiled a list of 5 things that you can do at night. Depending on your personal preference and budget, there are a variety of after-dark activities that you can choose to participate in. However, if you find yourself strapped for cash, you will be delighted to know that there are still some free-of-charge things that you can do. In addition, there are various attractions or facilities that offer discounted admission rates for Singaporean citizens and permanent residents, thus allowing you to enjoy more savings. On the other hand, if you are not a Singaporean or PR, you can still keep a lookout for some special promotional deals that are offered by attractions at specific off-peak periods. Ever fancied being a Formula 1 driver? If so, you might want to give night go-karting a try. Rev your engines and tear up the racetrack with your fancy moves. In addition, the presence of night lighting enhances the authentic F1 night race feel and allows you to easily navigate around the racetrack. To further amp up the fun factor, you also compete against your friends. However, do note that if it rains, you will not be able to go-kart due to safety reasons. The charges per go-karting session will also vary accordingly depending on the difficulty of the course selected. If you are a fan of flora, fauna and wildlife, you want to consider taking a stroll at Mount Faber at night. By doing so, you will not only be able to enjoy an amazing view of the rainforest and Sentosa amidst the night lights but simultaneously avoid the crowd that usually swarms in during the daytime. Asides from that, it is also a good form of exercise and will help you feel less guilty about devouring that extra-large portion of chicken rice during dinner. Take a hands-on approach by catching and preparing your own dinner through prawning. With the ready availability of prawning facilities that are open all around the clock, it is a great way to pass the time while chatting with family and friends. In addition, you don’t have to worry about bringing your own gear as there are equipment rental services provided at the prawning facilities. To top it off, there are also BBQ pits located at various areas of the facilities, which you can use to barbecue your prawns. Appreciate the beautiful constellations in the night sky at the observatory at Singapore Science Centre. Only open on Friday nights from 7.45pm – 10pm, the observatory has a wide variety of telescopes that will allow you to have a stunning view of the night sky. However, do note that in order to use the main, biggest telescope at the observatory, you have to obtain a queue number from the registration counter so as to prevent overcrowding. 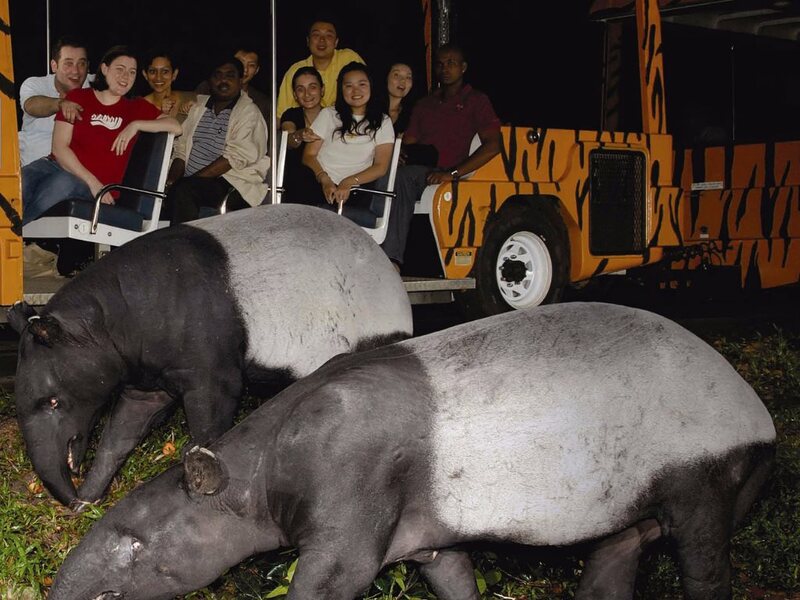 Spend the night soaking in the sights and sounds of various wildlife at the Night Safari. The Malayan flying fox, common palm civet and pangolins are just some of the interesting and unique animals that can be found at the attraction, making it a must-visit for animal lovers. There are various opportunities to get up-close and personal with some of the animals such as the Asian elephants if you sign up for an additional guided tour. For Singaporeans and permanent residents, the good news is that the Night Safari offers a special discount of up to 15% on the admission tickets if you get them online. However, this 15% discount is only applicable for non-peak periods from Sunday to Thursday. Whereas foreigners get 5% discount on admission tickets if they purchase them from the official Night Safari website. In conclusion, there are numerous late-night activities in Singapore that you can check out if you are a night owl.